Further to my post last night, some of these photos will give you an idea of how much things have grown in the last month. Especially the weeds! It’s hard to imagine I had most of the beds clear three weeks ago, but with the mulch it’s fairly easy to remove them and the chickens love the tender new shoots. 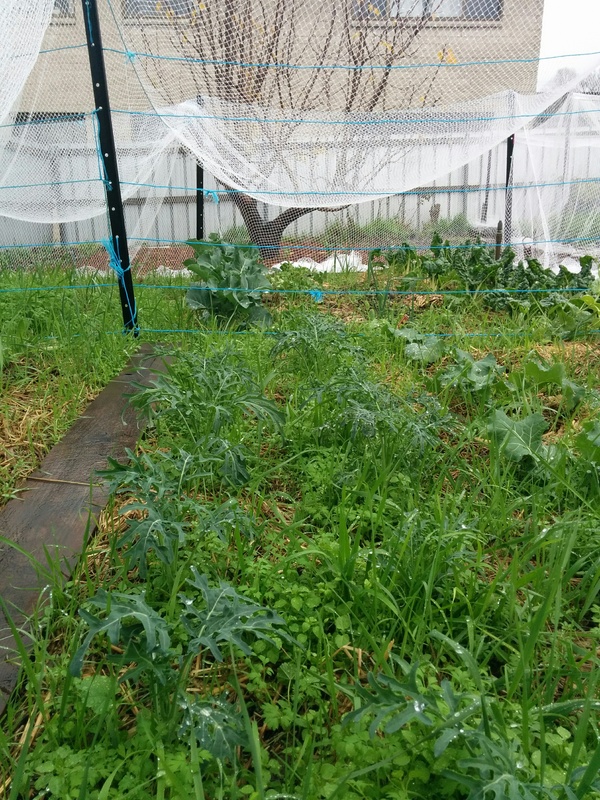 Some of the Kale in the foreground, looking to Silverbeet, the remaining Leeks, mini Broccoli and Garlic in the next bed. And thriving weeds! Also, I checked the new asparagus bed, which I top-dressed with seaweed and aged chicken poo from Cluckingham Palace. I’m thrilled but also slightly disturbed by some of the shoots the bed is still throwing up. 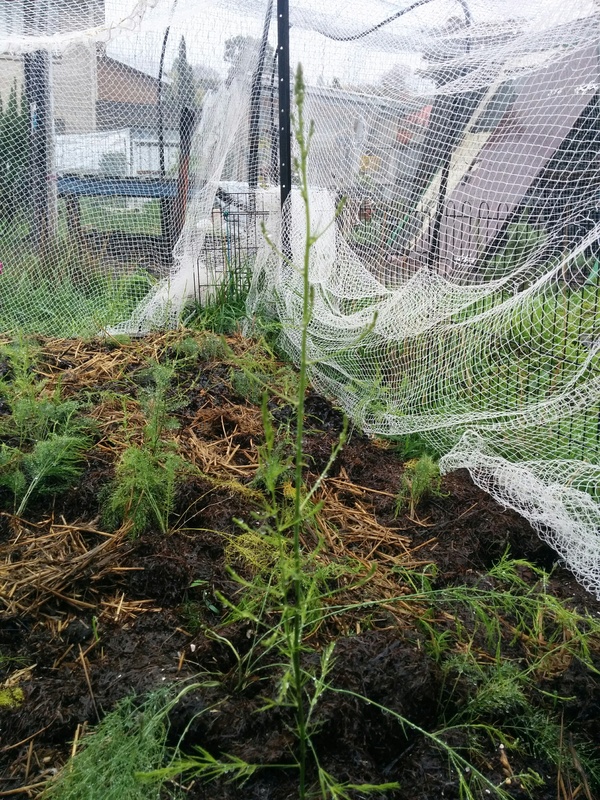 Given I’m in Hobart, asparagus should be well and truly dormant by now but these barely six month old crowns are still throwing up new fronds – and some ridiculously big ones too! 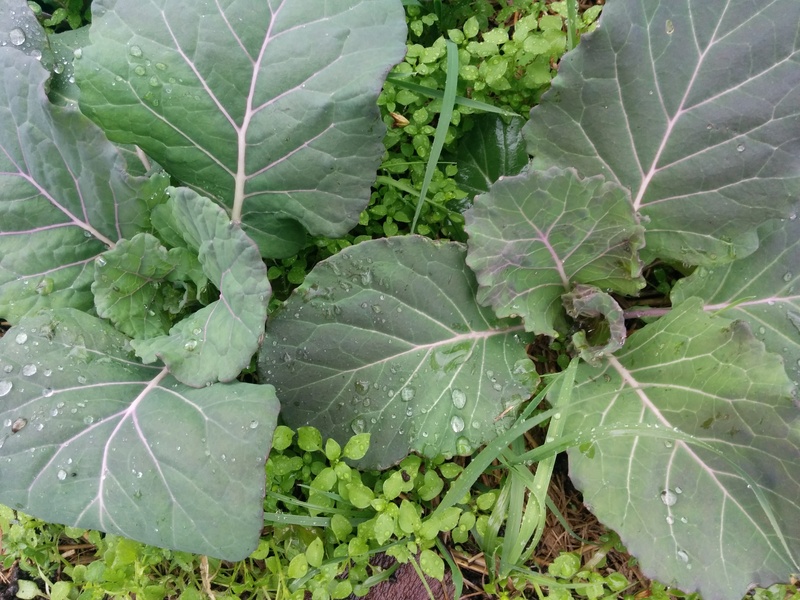 Since planting them out in March this year when it was still very dry (and abnormally warm), the plants have thrived. To get an idea of how much growth they’ve put on have a look at them here. The rabbits being mostly sheltered from the north easterlies are doing fine and I suspect wondering what I’m fussing about – they are getting more than their usual ration of greens at the moment because of all the sudden growth. I should point out too that after consecutive days of frost last week, yesterday and today have been very mild. I was out in my wet weather gear and sweltering!